Children can start ballet classes at age of 3 in our Little Cygnets class. Once the children start school they join our Pre-Primary class. When they have mastered the basic skills at Pre-Primary level they will be promoted to Primary level. We then prepare them for their first Royal Academy of Dance examination. Students work their way up through the RAD grades, hopefully taking Grade 8 by the time they graduate. We also offer ‘Vocational’ classes and examinations, from Intermediate Foundation up to Advanced Level. 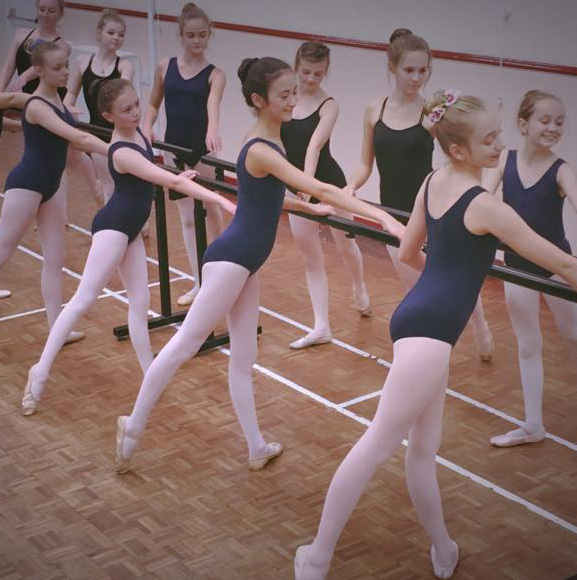 These examinations are for students in Grade 4 or above who demonstrate an excellent standard of Ballet and may have the potential to work towards a career in Dance. These classes are by invite only. Ballet encourages poise, discipline and confidence, and is the basis of all dance styles. These classes are designed to be stimulating and fun for all the children involved. Classes include learning basic ballet steps and sequences using nursery rhymes/songs, classical music and other popular children’s music. These classes use a range of props and role play to encourage interaction with other children in the class. A progression from Pre-Primary. Now they have achieved the basics of ballet they will now start to learn syllabus work through the Royal Academy of Dance and once they have achieved the correct standard they have the option of being entered into an examination. A progression from Primary Ballet. This is now when Ballet becomes more disciplined and serious, but we still try and keep a fun aspect as we know not everyone will be aiming to become a professional dancer the majority of students will be looking for a hobby that helps them keep fit with enjoyment. 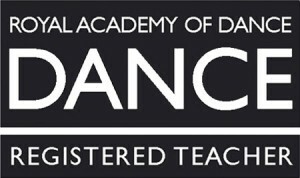 Majority of students will be given the option of entering a Royal Academy of Dance examination at this level. A Progression from Grade 1 ballet. A progression from Grade 2 Ballet, when the students reach this level they are considered to now be student who may wish to take dance seriously and are treated in a grown up manner. A progression from Grade 5. These Royal Academy of Dance examinations are equivalent to NQF framework at Level 3 – A Level. A progression from Grade 6 Ballet. A progression from Grade 7 Ballet. This is a class for students in Grade 4 or above who demonstrate an excellent standard of Ballet and may have the potential to work towards a career in Dance. These classes are by invite only which we follow the Royal Academy of Dance Syllabus and also include Technique Exercises to help the students progress. This class is progressed from the Intermediate Ballet class once the student has successfully obtained their RAD Intermediate Ballet examination. Once the student has worked her way upto Grade 5 Ballet level they will be assessed with regards to strength and bone shape in their feet and ankles. Once the teacher is satisfied they have met all the safe points they will be invited to attend our pointe classes.